The Duchess looked radiant wearing this poppy print ﻿LK Bennett﻿ sheath dress as she disembarked from the plane at the Royal Australian Air Force base near Brisbane during the Royal Tour Down Under. The LK Bennett Lasa dress is a silhouette-skimming style adorned with snorkel blue poppies, arranged in an artful print against a white backdrop. It has a square neckline and elbow length sleeves. 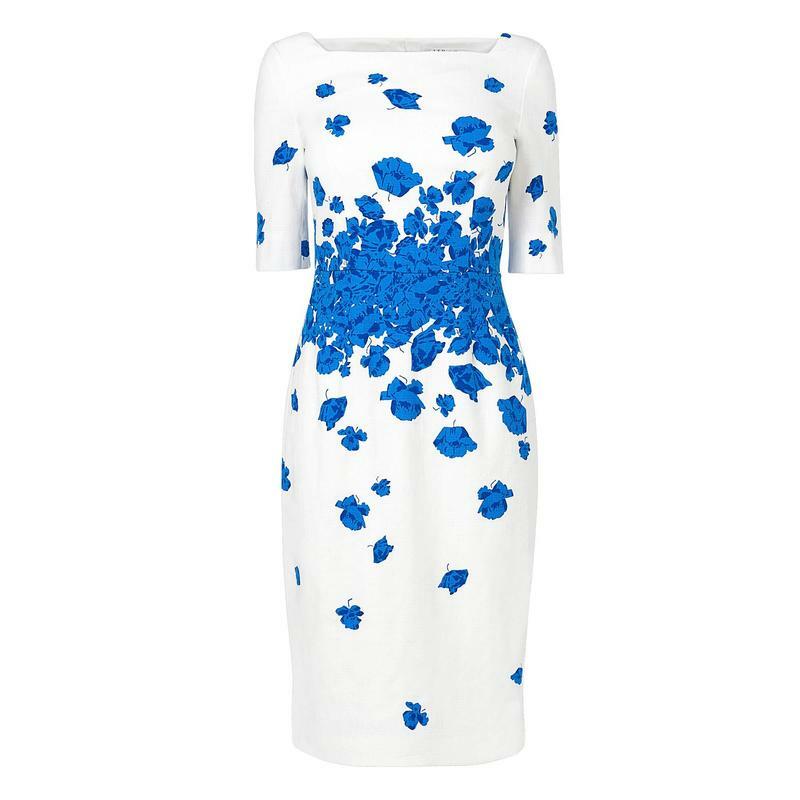 STYLE FILE: LK Bennett Lasa Blue Poppy Print Dress as seen on Kate Middleton, The Duchess of Cambridge.